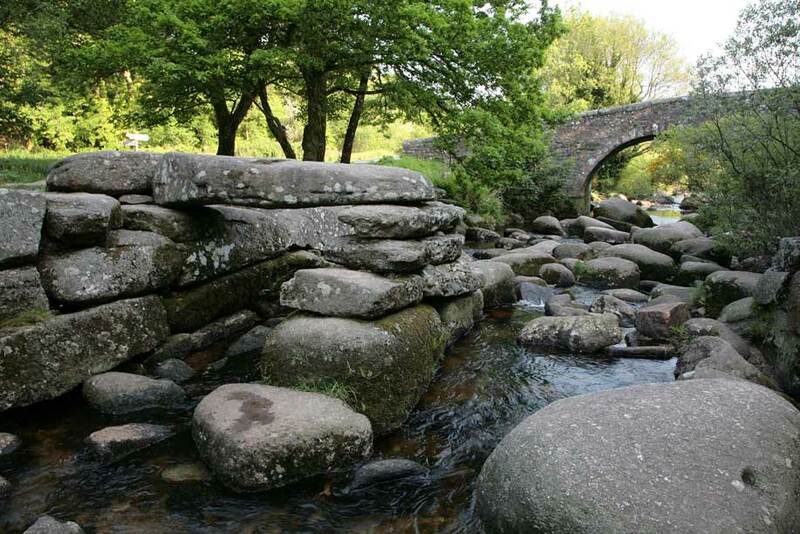 The popular beauty spot of Dartmeet sits near the centre of Dartmoor, about 4 or 5 miles east of Two Bridges. 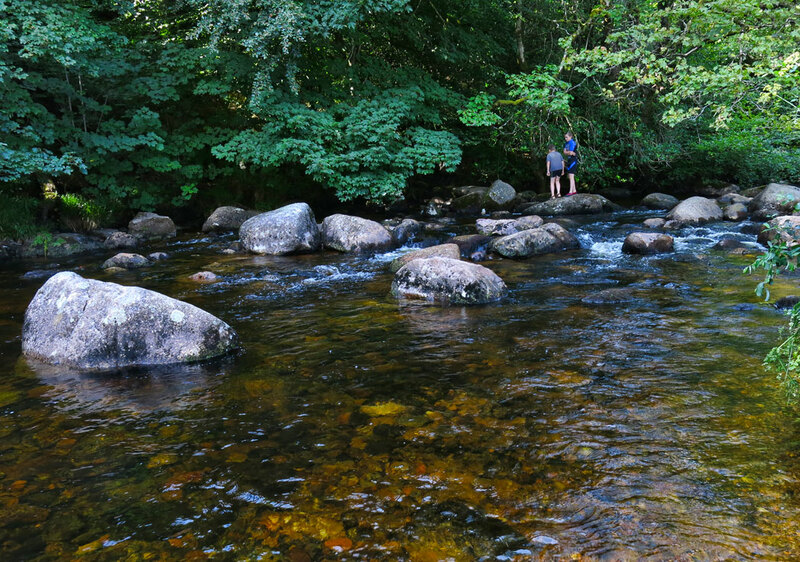 It acts as a meeting point of the two major tributaries of the River Dart which are the East Dart and the West Dart. There is a road bridge just above the East Dart and was built in 1792, while another partially collapsed medieval clapper bridge sits to the side of it. There is plenty of history around Dartmeet which sits at the centre of an important archaeological landscape including a prehistoric field system which is amongst the finest in Europe. To the east of the river crossing here is a road that climbs up Dartmeet Hill, ascending 430 feet up from the valley floor. Halfway up Dartmeet Hill you will find the Coffin Stone; this was historically used by bearers to take a rest on the way up the steep incline as they took bodies for burial at Widecombe-in-the-Moor. There is a local legend that says the body of a wicked man was laid on the stone and God stuck the stone with a thunderbolt in anger to destroy the coffin and split the stone in two. On sunny days in the summer you'll find the shallow section of river full of kids messing around between the rocks in the gentle flow. Just to the other side of the road bridge is a popular launch spot for kayakers and canoeists taking on the Upper Dart section of the river. Access to Dartmeet is via a minor road after Two Bridges which narrows the further along it goes passing Poundsgate and over Holne Bridge and New Bridge towards the edge of the moor in Ashburton.